Stories: The Path of Destinies is an action-RPG set in a vibrant fairytale universe filled with floating islands, majestic airships, and colorful magic. Reynardo, ex-pirate and unintentional hero, suddenly becomes the last line of the defense against the mad Emperor and his countless ravens. Can he come up with a plan that won’t blow up in his face, for a change? In Stories, each choice you make takes Reynardo into a unique narrative. From tongue-in-cheek takes on heroic adventures to dark, Lovecraftian scenes, Stories’ repertoire is as diverse as it is action-packed. But Reynardo’s fateful decisions won’t always come easy: Sometimes retrieving a weapon lost at the beginning of time means sacrificing the life of an old friend. But with so many choices to make, so many potential dire destinies, wouldn't it be great to be able to come back in time, learn from your mistakes and find the one true path? Spearhead Games is a Montreal-based independent studio. 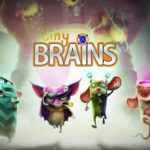 The studio’s first title, a cooperative action puzzler named Tiny Brains has been release on PlayStation 4, PlayStation 3 and PC, followed the antics of four super-powered lab animals in their quest to escape a mad scientist’s nefarious tests. 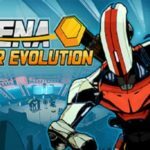 The studio’s next game, a competitive physics based video game called Arena: Cyber Evolution (ACE), has been an experiment in community development and Free-To-Play competitive designs. 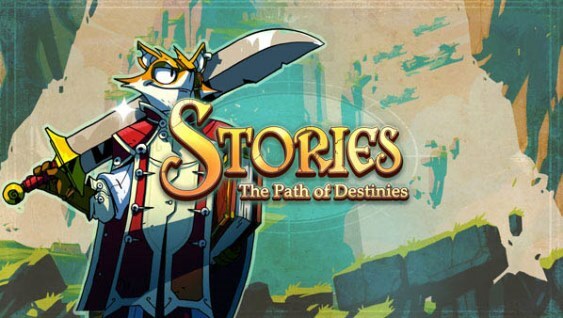 Our most recent project is named Stories: The Path of Destinies is an action-RPG set in a vibrant fairytale universe filled with floating islands, majestic airships, and colorful magic. Reynardo, ex-pirate and unintentional hero, suddenly becomes the last line of the defense against the mad Emperor and his countless ravens. Spearhead Games has been founded by Malik Boukhira, game designer on Assassin’s Creed 2 and Dead Space™ 3, Atul Mehra, development director on the Army of TWO™ franchise, and Simon Darveau, design director on Assassin’s Creed® III.